I created this Survivor-themed training as a fun way to help our national team's DL's who were struggling with motivation to keep going. The goal of this training was to inspire them and give encouragement. I think we all need a boost every now and then! :) The full FB script is included here, along with the graphics that were included in the training. Feel free to use them if you would like, just remember to personalize the script and tweak it to fit your team's needs. I'd also like to give a special thanks to Minette Packard, who helped me put on the training. Thanks for your help girl!!! Feeling like an island Castaway after the summer season, and thinking to yourself "Help! I'm thinking about quitting!"? Then this event is for YOU!!! 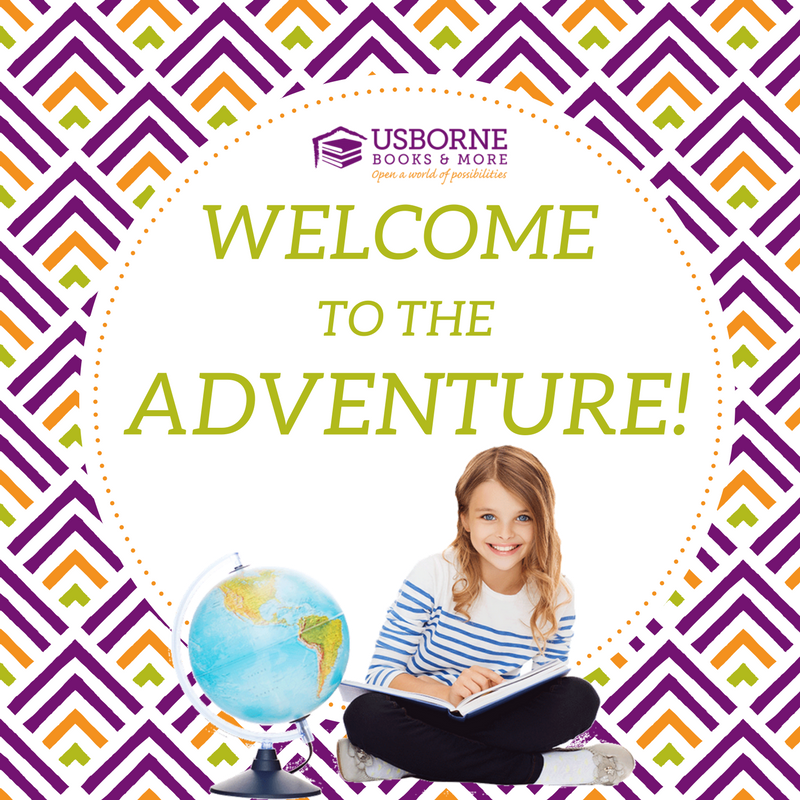 Welcome to UBAM Survivor!!! You are invited to the Ultimate Obstacle Course that will help pump you up and get you in shape to tackle your biz like a champion! Meet us here on *DAY* night at *TIME* ready to receive your first instructions on how YOU can become the next UBAM Survivor!!! 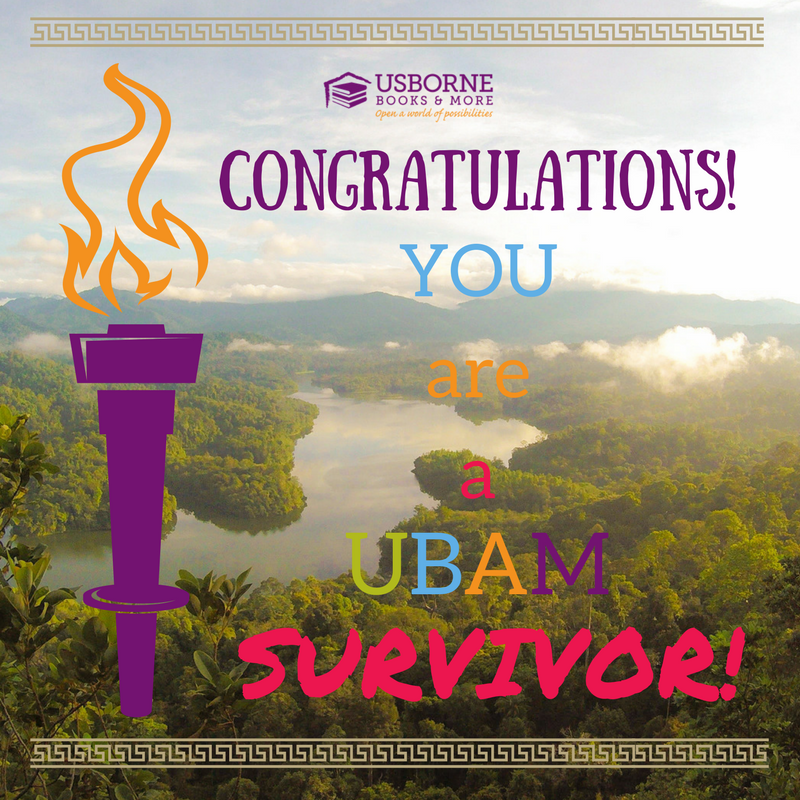 Welcome to our UBAM Survivor Training! 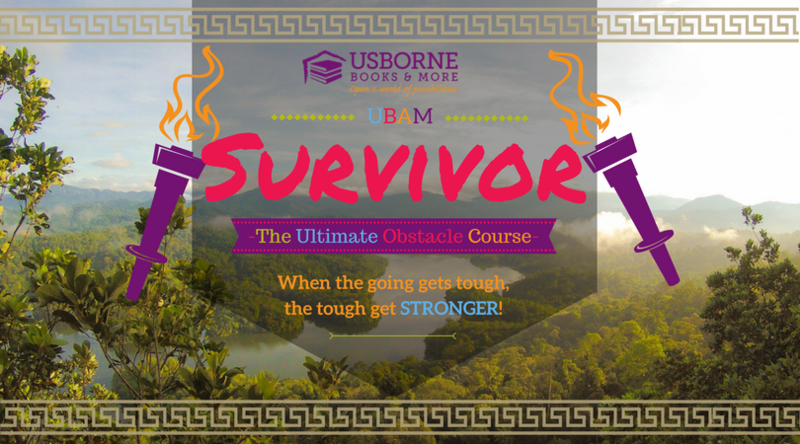 Are you ready to go through the ultimate obstacle course to keep you going and moving forward in your UBAM business? Stay tuned and join us on Monday night to get the best tips and ideas to get you over those low business hurdles, around those busy times and up to the top of your goals! When the going gets tough, the tough get STRONGER! HOWEVER...even the tough have tough times! What we do can be a BLAST, but we also have our dry patches with party flops, hostesses who are no-shows, and potential recruits who end up saying they're just not interested. We may feel we're in a rut and don't know how to get out. It happens to all of us. Even our amazing Directors have experienced these things! But what is it that makes us TOUGH, despite the challenges that comes with our job? The answer to this question is not a huge surprise order. It's not a miracle hostess who does everything we ask. While those things are great and definitely cause for a happy dance, the answer is VISION. Vision can be the driving force that keeps us going even when we fall. Vision can help us keep the end goal in mind, no matter the obstacle in our path, and achieve things we never thought were possible. And now it's time to welcome our special Guest Star...Tina Beal, from Home Office! (THE CROWD GOES WILD!) Tina has got to be one of the most amazing people I've ever met! She is such a POWERHOUSE of incredible energy for life! What stuck out to you most from her insights? Please share your comments with us below! *This video is a little long so make sure to set aside a few minutes today as you can to listen! I can promise it is time well spent! Are you guys ready to learn how to tackle all of the curves your UBAM business can throw your way? In 30 minutes, our UBAM Survivor obstacle course will begin! But while we are waiting with anticipation for the next episode (training) to start, tell us, What is your favorite TV Series? Are you a "Survivor" fan? Who's here and ready to get their game on?! So you say you’re in a rut? You’ve been feelin’ the Survivor BURN from all the obstacles you’ve faced and you’re feelin’ the pressure. Just like any intense workout, we’re all going to feel the burn, with our muscles aching, we drank the last of our water, and we just can’t make it. We’re here to tell you tonight to KEEP GOING. When it feels like it’s getting to be too much, take a step back, and restrategize, and then ROCK your game! Work SMARTER, not HARDER. There are some days that reaching those big scary goals can seem completely out of our reach (trust me, we ALL have those days! ), but when we choose to set our sights HIGH and make a plan to get there, we can accomplish far more than we would have done had we just stood still…or worse (gulp) turned back! It’s not always easy, but SO worth it! As we are all busy ladies, we have a lot of different things (and little people!) competing for our attention and pulling us all different ways. We often feel like we have to be Super Woman, and be able to juggle multiple things at once. Amazingly enough, even Super Woman has to get organized when it comes to saving the world! We came with our game faces on tonight, so let's welcome our next Guest Stars – The Tag Team (WHOO!!!) who will help us make a plan to get organized and get things done LIKE A BOSS! Are you ready to completely transform your business? Did you know the way you are running your business TODAY will affect how well your business is doing 90 days from now? IT’S TRUE!! So, how’d you spend today? Based on that answer, what does your business look like in 3 months? A little bit after I first joined, the amazing Kaylie did a training on what she called POWER HOUR! I LOVED it! I have noticed that my business is more successful when I follow this easy strategy. So what is a POWER HOUR? It’s an hour, broken into four 15-minute increments, focused on growing your business. What I love the most about this is the structure and the flexibility. If I can’t do a full hour in one sitting, I can choose however many 15-minute increments I have time for and then do the other ones as soon as I can or even spaced throughout the day. The most important part is to set your timer for 15 minutes and do not allow yourself to be distracted by anything else during that time! Focus on the ONE area you are working on for those 15 minutes - then move on to the next area! Shoot for at least 3 full Power Hours a week, even if they are broken up over a couple of days. Track your time spent and what areas you worked on so you can make sure you are maintaining a balance in where your time is spent. Here are some handy printables to get you started on your Power Hour! These ideas will give you SOMETHING to do each time you sit down to work, especially if you aren't sure where to start or are feeling out of ideas. Do you have something now that you do that keeps your business time organized and time efficient or will you be trying out the POWER HOUR? Is one of your hurdles FB Party Flops? One of the best reminder tips I have gotten is to remember that people get on FB to be entertained, not sold to! People are going to be watching and keeping an eye out for the personal side on FB more than anything else, so always try to focus on BUILDING RELATIONSHIPS instead of making the sales! Be a friend and let your love of our books and products shine through without overdoing it! Do you need more friends to build those relationships? Go and join something new! It will be beneficial in more ways than one! Here is a video to give you more great ideas on getting around those FB party challenges. What type of new group or new interest can you do to build more relationships? OR What are you going to try that’s new to keep your FB Parties a success? One thing that might cause us to throw in the towel is a very common Consultant disease...you may have heard of it...it's called BURNOUT! I’ll be for real with you guys, what we do is SIMPLE but it can be HARD. We may have days where the last thing we want to do is talk to customers about yet another Book Buck. Even us Golds may have a random crazy day where they want to throw their aforementioned schedules out the window! So how can you make the most of your time and your business to avoid burnout? My biggest piece of advice is to find a balance between your obligations. Make time for the people and the things that matter most in your life. When you feel yourself getting burned out, take a step back, and restrategize. 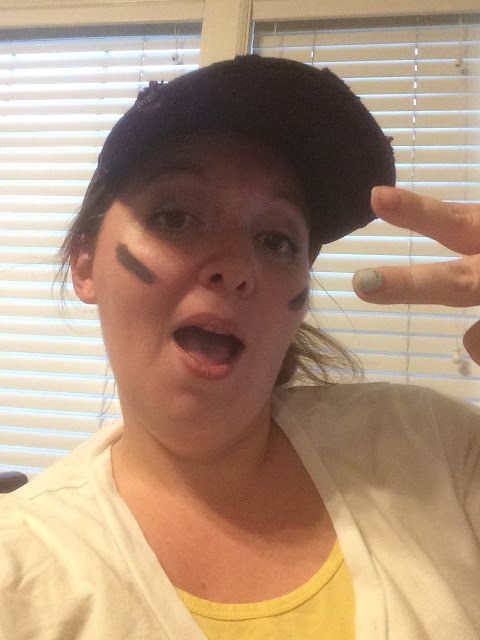 Alyssa Tip: Don’t make work something you dread…Make your job FUN! Reward yourself for reaching your goals! Rock out to your favorite jams while you’re working! Pull out your treat stash for work time! Decorate your calendar and/or your vision board! Make this your YOU time by finding something FABULOUS in everything you do! Our last guest star of the night is one of my favorite Directors, Katy Allen, to give us some tips on how to lead a more calm, motivated, and productive life. Training Post 6 - Find the FUN! Game Changers - Think Outside the Box! Whether you’re in a rut, burnt to a crisp, or rockin' your biz, you can ALWAYS do something to change up your game! Here are a few tips & tricks to not only change up your game, but to make it FUN for both you and your customers! 1) Make it Magical! Give people a reason to want to come back! -We’re not the only busy ones!! Our customers also have things pulling their attention every which way…give them a reason to party with YOU! 2) Have some fun with your VIP Group! It’s not just your business group, you’re building a community who LOVES literacy! Our VIP Groups can help us to connect with our customers and even retain customers who we may not have heard from in a while. Utilize resources such as party surveys, Thank You Cards, follow-ups, etc. to really try to get your customers in your VIP Group! (ie, “Thank you for your order! If you're interested in keeping up with what's new in the magical world of Usborne, we would love to hang out with you in my VIP Group!" 3) Put some YOU in your parties! Make some of your own videos, do a live video at the end of the party to thank your customers for coming, learn how to make your own graphics to showcase some books, and take pictures to show how you’re utilizing the books in your own life! Being able to do this can be a fantastic conversation starter and lets your guests see that you stand behind the product you sell. 4) Find the FUN in everything you do! Remember, “Be the energy you want to attract.” Your friends come to hang out with YOU, not to be sold to. Let them see how much fun you’re having and let the fun and love of books be what flows through your business to give it life and energy. Convention was an HUGE Game Changer for me as it gave me lots of new ideas! I have recently started to revamp my VIP Group, so I thought I would share some of our fun with you! What are your ideas for some game changers to make life more fun for you and your guests in your parties? I signed up for UBAM in November of 2015. I had never heard of UBAM or tried out the books...I actually had never been to a FB party before! My best friend called me up and told me she had signed up to become a consultant for a company that sold children's books, and she knew I was trying to find a way to make some money from home so she asked if I wanted to do it with her. Had it been anyone else I would have said "Heck no!" right then and there, but I told her I would think about it. I did some research online and talked to some teachers who told me they loved their books and used them in their classroom curriculum. I went to her Kickstarter Party and had a good time, so I signed up to do it with her and just decided to see where it took me. I only worked on it for a month, but I wasn't very consistent. I stayed within my own small bubble of friends and family and didn't really push myself. I thought it wasn't really for me so I quit in January 2016, less than 2 months later. I was offered a full-time job at the local university. Career-wise this job was what I wanted to do, I had tried for years to get hired there, and jobs there are really competitive. I thought it must be what I was supposed to be doing so I took it and hoped for the best. A few weeks after I started, I got really sick. Two months later, I ended up being hospitalized and diagnosed with severe Crohn's disease. We didn't know how long it would be before we could get it under control, so we decided I should let it go. In October 2016, I was invited to a friend's Kickstarter Party. I was so excited to go and support her, but I wasn't expecting to have so much fun that I realized I missed doing it. The consultant throwing the party was so sweet and answered all of my questions on how to get started up again. I decided this time around if I was going to do it, I was going to go all out and if it didn't work out, it wasn't going to be because I didn't give it my all. I went through past trainings to help me get back in the groove and I found a video from my Director about why she promoted to be a Team Leader. Her situation was so similar to mine that she had me in tears and I even kept the tab open to her video up on my phone so I could watch it whenever I needed a boost. I decided that I would do everything I could to try to promote to Team Leader. I promoted to Team Leader May 1st, 2017. The journey to promotion has meant everything to me because I have learned so much more than I have in any other job. I knew I was a hard worker, but I didn't realize how strong I really was. I've learned SO many new things and made SO many great friends! I joined to help provide for my family, and that's still my driving force, but it's become something I do for me too. This adventure has become my creative outlet, and my Mommy time. I love getting to make new friends, and I love getting to learn new skills while having so much fun at the same time. 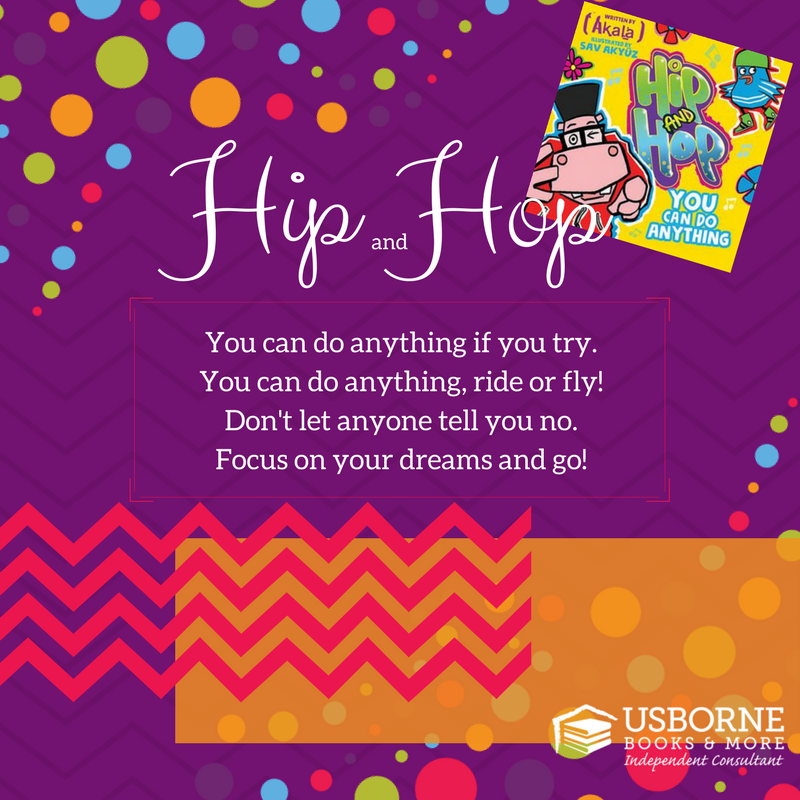 Crohn's disease is a chronic lifelong illness, and it has really taken its toll on my life, but being an Usborne Books & More Book Lady and Team Leader has changed my life and given me the strength to pull through it. This experience has blessed and changed my life, and I wouldn't change it for anything. *For National Team Trainings, include a video list of your Team Leader's Why's. The biggest message I hope you all took away tonight was that ANYONE can be a UBAM Survivor...even, and most especially, YOU!!! This opportunity has blessed my life in so many ways, so much more than I ever imagined in the beginning, and I know it can for you too!!! Thanks so much for coming tonight everyone!!! I hope you all found something that helped you on your way to becoming our next UBAM Survivor!! !